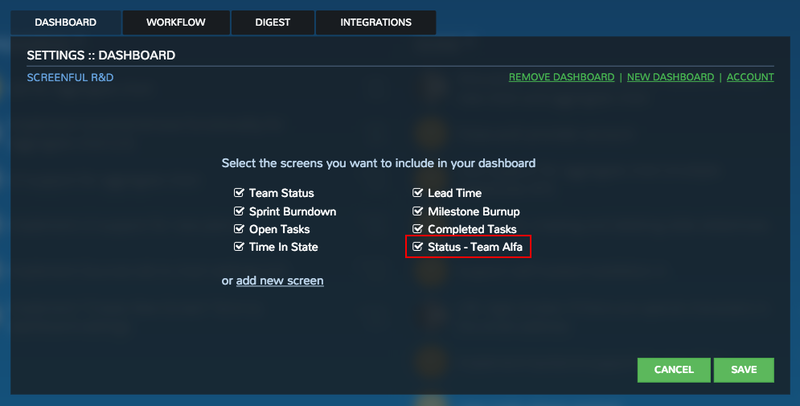 You can duplicate any of the individual screens in your dashboard by clicking add new screen link the dashboard settings. After clicking the link you'll get a set of drop down menus which allow you to select which of the screens you want to duplicate and which data source to use. You can also specify a name for the new screen. Once you click Create, the new screen is added to your dashboard.